Carter & Sons tools are razor-sharp, and when they say razor, they mean razor. 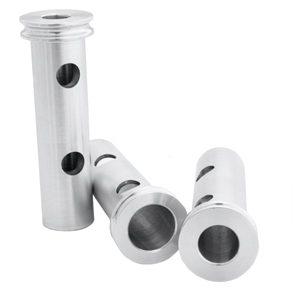 All the tools are machined from solid M42 High Speed Steel, an extremely durable, sharp grade of High Speed Steel. Not only is M42 HSS much sharper than other grades of steel, it is also much stronger because of its 10% cobalt content. This cobalt content allows us to heat-treat our tools to 68 HRC, providing you with razor-sharp, unbelievably strong tools. Actually, M42 has a history of use in manufacturing firms around the world, cutting metal. Therefore, M42 cuts wood with no problem. Your turning will be smoother and cleaner, you'll even use less sandpaper! Coupled with our premium steel, the design of our wood turning tools is unique. Thirty years of engineering and turning experience go into the designs of all there tools. At Carter and Son they undertake extreme care to ensure to each and every tool design is safe, easy to use and strong. 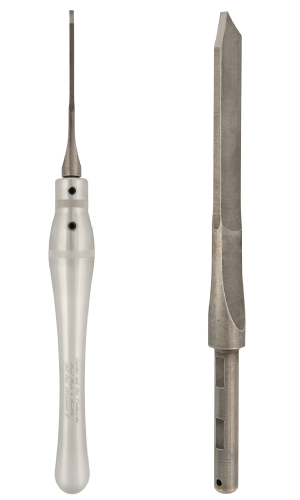 One special design feature that all their gouges sport is the two flats that they machine onto all our tools. These flats provide the set screws, which secure the tool into the handle, a solid place to rest and prevents wear on the tool's tang. Going the extra mile is their specialty, which is why your Carter and Son tool rests 3" into the handle, rather than the conventional 2". This cuts down on chatter and gives your tool extra strength. All of there tools are also shipped sharp, and ready to use. Each tool easily slips in and out of its handle once the two set screws are removed, allowing for quick interchangeability between different tools. Incredibly strong and sharp, our 5/8" U-Shaped Bowl Gouge offers an enhanced bowl turning experience. Made of M42 High Speed Steel, the tool has a razor edge for clean cuts. Graced by a solid aluminum handle, the tools is sturdy and you will enjoy easy maneuverability. The specific shape of the handle is designed to fit your hand for comfort. Beautifully engraved and polished, the handle will last a lifetime. Carter & Sons premium 5/8" U-Shaped Bowl Gouge is shipped sharp and ready to use - order your own today! UN-Handled is the same specification minus handle Length. Smooth cuts, Powerful maneuvers, Long-lasting performance achieved through unmatched quality. Each gouge that makes the journey from our shop to yours has undergone a rigorous design process. Meticulous manufacturing operations. And has been hand polished, sharpened and inspected. A razor edge is imperative for turning wood. Many woodturning tools are machined from subpar steel. After 40 years of manufacturing experience, we know M42 high speed steel is the optimal steel for turning wood. It hones to a fine, sharp edge and retains that edge due to a 10% content of cobalt. Your handle connects you to your work, that’s why we’ve carefully designed the weight and curvature of our signature handles for comfort, easy control, and chatter reduction. 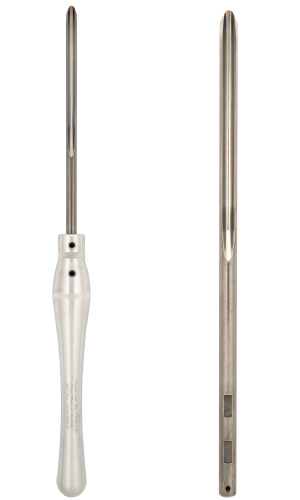 Each handle has two set screws to secure your tool, and knurling for grip. Our innovative handles are all made in our own factory and are patented. All the design work, machining, inspection and shipping of this tool is done in our Seattle factory. As a family business dedicated to engineering ingenuity, precision workmanship and a passion for turning we ensure that every tool you receive from us is perfect. Happy turning! 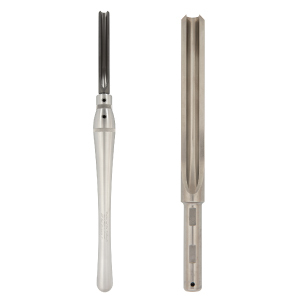 The 3/8" bowl gouge has a long fingernail grind to help prevent catching. 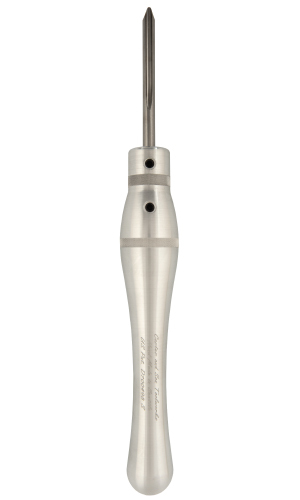 Incredibly strong and sharp, our 5/8" Bowl Gouge offers an enhanced bowl turning experience. Made of M42 High Speed Steel, the tool has a razor edge for clean cuts. The swooped fingernail grind prevents catching and ensures smooth cuts. 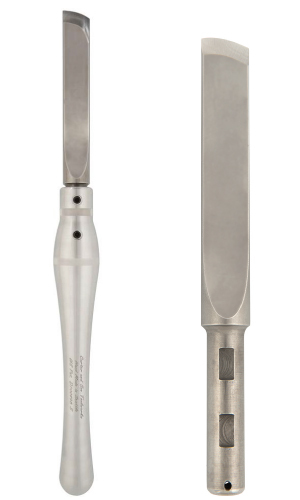 Our premium 5/8" Bowl Gouge is shipped sharp and ready to use - order your own today! 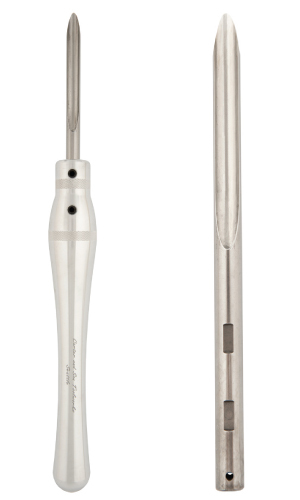 Incredibly strong and sharp, our 3/4" Bowl Gouge offers an enhanced bowl turning experience. Made of M42 High Speed Steel, the tool has a razor edge for clean cuts. The swooped fingernail grind prevents catching and ensures smooth cuts. Graced by our patented aluminum handle, the tool is sturdy and you will enjoy easy maneuverability. The specific shape of the handle fits your hand for comfort. Beautifully engraved and polished, the handle will last a lifetime. Own your own 3/4" Bowl Gouge today! A razor edge is compliments of M42 high speed steel. M42 is a durable, sharp grade of steel optimal for turning wood. Superior edge holding ability and hones to a finer edge. 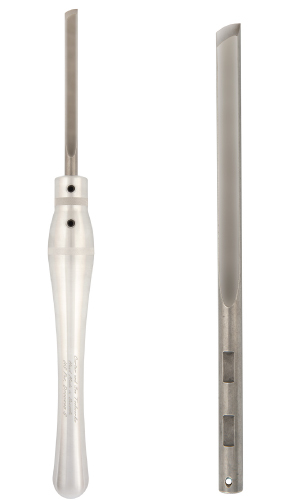 Nothing is better than a razor sharp edge for all your bowl work, and our new 1/2" Bowl Gouge offers just that. Machined from M42 HSS, the tool's bit is strong and sharp for smooth, clean cuts. In addition, the long fingernail grind helps to prevents catching. Our premium 1/2" Bowl Gouge is shipped sharp and ready to use - order your own today! Nothing removes stock like our robust 7/8" Roughing Gouge. Machined from solid M42 High Speed Steel, the tool is not only razor sharp but extremely durable and long-lasting. Designed with deep 'U' shape for easy stock removal. 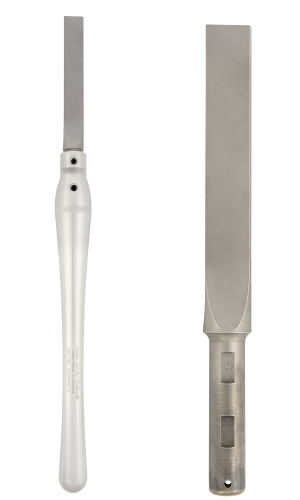 Our premium 7/8" Roughing Gouge is shipped sharp and ready to use! 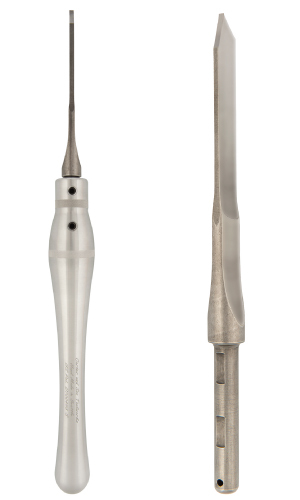 Enjoy a razor sharp edge and clean, smooth cuts for all your spindle work! Quality M42 High Speed Steel offers you a sharp and long-lasting edge. 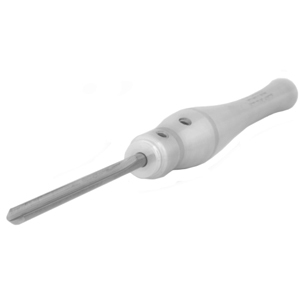 Our 1/2" Spindle Gouge also sports a long fingernail grind for reduced catching. 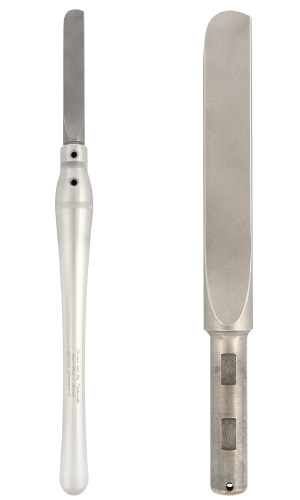 Our premium 1/2" Spindle Gouge is shipped sharp and ready to use - order your own today! Tackle all your spindle detail work with our 3/8" Spindle Gouge, machined from M42 High Speed Steel for a sharp, strong edge. The swooped fingernail grind prevents catching and allows greater detail. Graced by a solid aluminum handle, the tools is sturdy and you will enjoy easy maneuverability. The specific shape of the handle is designed to fit your hand for comfort. Beautifully engraved and polished, the handle will last a lifetime. 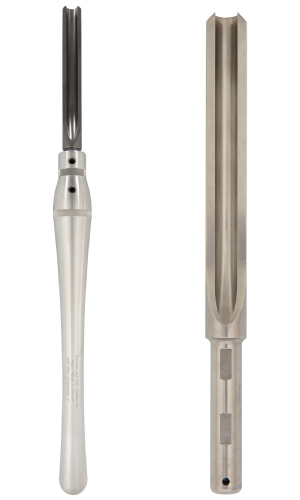 Our premium 3/8" Spindle Gouge is shipped sharp and ready to use - order your own today! When it comes to detail, a razor edge is imperative! 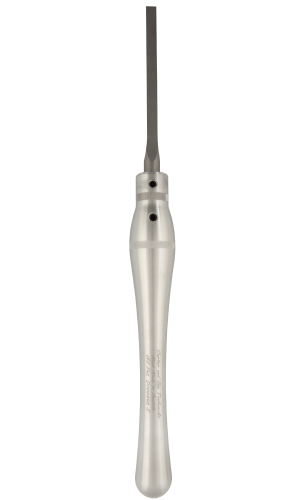 Machined from M42 HSS, the Detail Tool's bit is strong and sharp for smooth, clean cuts. The swept back wings allow the tool to fit into tight places. The tool is perfect for beads and coves. Our premium Detail Tool is shipped sharp and ready to use - order your own today! Our strong 1/2" Skew is optimum for all your smoothing, tapers, v-cuts and beads. M42 High Speed Steel ensure a razor sharp edge for clean cuts. In addition, the swooping curve to the bit prevents catching and the radius on the top and bottom of the bit allows for smoother cuts. Our premium 1/2" Skew is shipped sharp and ready to use - order your own today! Our 3/4" skew is machined from M42 high speed steel and heat-treated for strength and durability. Each 3/4" skew is ground by professionals at Carter and Son Toolworks and is shipped razor sharp and user friendly, ensuring that you achieve maximum success. 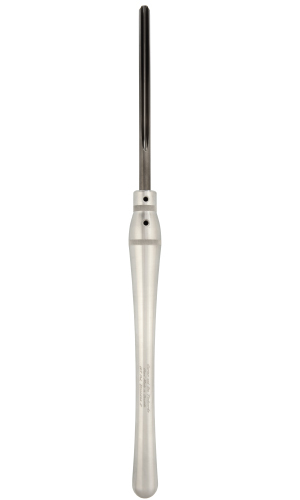 Our 3/4" skew is backed by our patented 12" aluminum handle. Our 1" skew is machined from M42 high speed steel and heat-treated for strength and durability. Each 1" skew is ground by professionals at Carter and Son Toolworks and is shipped razor sharp and user friendly, ensuring that you achieve maximum success. 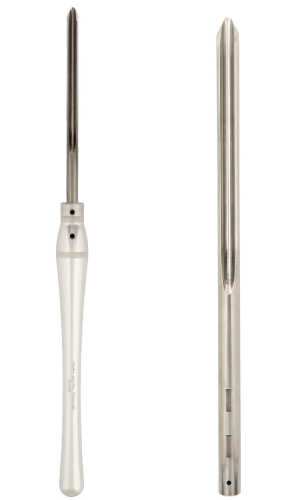 Our 1" skew is backed by a 12" aluminum handle. When it comes to precise work, a razor edge is imperative! Machined from M42 HSS, the 3/8" Bedan bit is strong and sharp for smooth, clean cuts. This tool is perfect for ensuring that your foot is just the right size. Our premium 3/8" Bedan is shipped sharp and ready to use - order your own today! There is nothing like a razor sharp parting tool! Our new 1/8" Parting Tool is machined from solid M42 to provide you with a razor sharp, long-lasting edge. Our premium 1/8" Parting Tool is shipped sharp and ready to use - order your own today! Nothing can replace a parting tool and the many cuts it can preform, making a strong, dependable parting tool a necessity for every turner. Our 3/16" parting tool is machined from solid M42 high speed steel and is heat-treated for strength and durability. Hand sharpened, this tapered parting tool is strong and dependable, ready for any task. This larger size parting tool is perfect for your larger projects. A strong sturdy scraper will ensure that the inside of your bowls are smooth and void of cutter marks. The strong 16" aluminum handles our scrapers are equipped with reduce chatter and ensure that the tool is easy to maneuver. Machined from solid M42 high speed steel, our 1" bowl scraper is sharp and strong for smooth, clean cuts. A strong square nose scraper will ensure that the inside of your boxes are smooth and void of cutter marks. The strong 16" aluminum handles our scrapers are equipped with reduce chatter and ensure that the tool is easy to maneuver. Machined from solid M42 high speed steel, our 1" square nose scraper is sharp and strong for smooth, clean cuts. 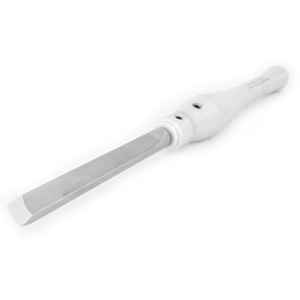 Nothing removes stock like our robust 1-1/4" Roughing Gouge. Machined from solid M42 High Speed Steel, the tool is not only razor sharp but extremely durable and long-lasting. Designed with deep 'U' shape for easy stock removal. 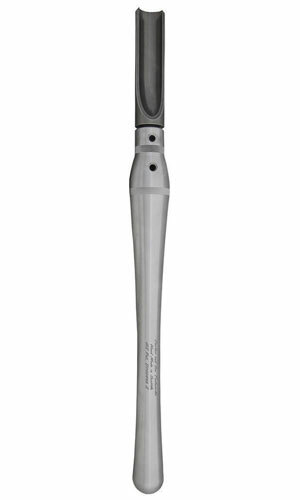 Our largest tool, this roughing gouge will accomplish your roughing jobs in record time. Our premium 1-1/4" Roughing Gouge is shipped sharp and ready to use! Because our handles are solid aircraft grade aluminum they are strong and maneuverable as well as chatter reducing. The specific shape of the handle is designed to fit your hand for comfort. Beautifully engraved and polished, the handle will last a lifetime. 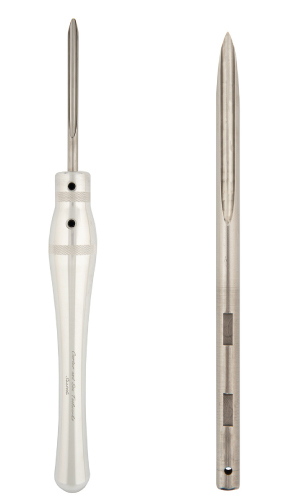 Two set screws secure our tools 3” into the handle for extra versatility. Add some power to your turning! Complete interchangeability is possible with premium Carter and Son Toolworks adapters. Each adapter is machined to precise parameters from aircraft grade aluminum, ensuring a chatter reducing fit between tool and handle. Carter & Son adapters will fit any 3/4” diameter handle, bringing the inside diameter down to 5/8", 1/2” or 3/8".